Welcome to Day #2 of Chocolate Brownie Theme Week. 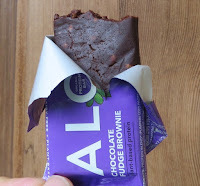 Today's Chocolate Fudge Brownie Organic Protein Bar was made for Aloha (New York, NY). 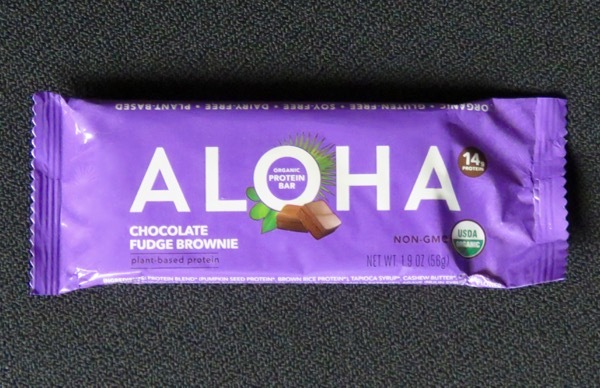 The plant-based bar's protein was primarily derived from a pumpkin seed and brown rice protein blend and cashew butter. This organic protein bar's slightly chewy fudge brownie texture and flavor was almost enough to conceal a faint protein bar flavor.